We have been in the hearth profession for over 15 years as chimney sweeps, installers and technicians. We have sought out the highest quality products in the hearth field and and brought them here to our new showroom in interior Alaska. All of our chimneys carry the "Forever Warranty," the best warranty in the industry. We strive to only bring you the highest quality of products and installation expertise, as the safety of you and your family is our first priority. We offer complete a complete range of wood, gas and pellet burning hearth appliances. We help you through every step of the process including the selection of the perfect appliance for your unique home situation, installation and follow up service for your new appliance. 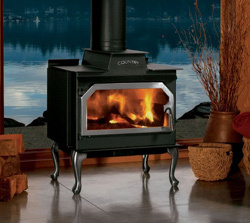 Contact us for more information on wood stove, and gas stove sales, installation and repair services in Fairbanks, North Pole and throughout Northern Alaska. If you are interested in heating your home with a biomass boiler, you can trust in Firesafe Chimney Service Inc. We are the biomass energy experts in Fairbanks and North Pole, Alaska. Biomass boilers provide a convenient, safe and environmentally responsible way to heat your home and hot water. Contact us for sales, installation and repair services for biomass boilers. The hearth is the centerpiece of your home and should reflect your personal style and preferences. Allow us to refresh the interior of your home with a new hearth, mantel or fireplace surround. We have extensive training and experience in building hearths and fireplace surrounds in Fairbanks and North Pole. Let our team of experts design the perfect hearth and install it with professionalism and expertise.